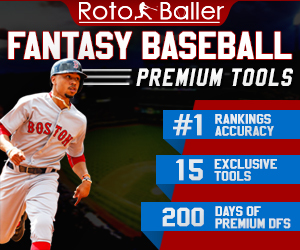 All throughout the 2014-15 campaign, RotoBaller will be giving you the top NBA DFS lineup picks at the guard, forward and center positions as well as top sleepers for the day. Below are our favorite picks for December 30th, 2014. Keep in mind, fantasy basketball is a fickle game when it comes to injured players, so be sure to check all lineups prior to tip-off. If you want to chat about your roster picks, check out the DFS chat room at the bottom of this post. 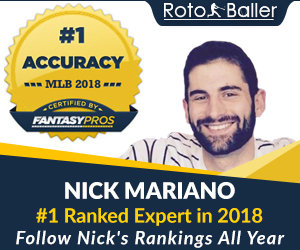 Editors Note: If you have not tried out FanDuel 1-day fantasy basketball leagues, RotoBaller offers the best bonuses around. 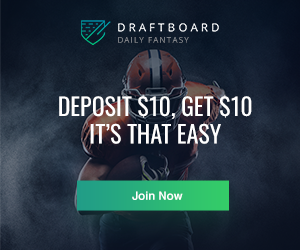 Signup and make a deposit for a new FanDuel account, and receive a 100% bonus on your deposit up to $200. Anderson Varejao’s injury means that the Cavaliers desperately need Kevin Love and Tristan Thompson to protect the rim. However, that is just not happening, at least not yet. Look for Horford, who is averaging 17.9 points, 6.8 rebounds, 3.6 assists and 1.5 blocks over his last seven games, to have a huge performance against the limping Cavs. Note that the last time the Hawks played in Cleveland, Horford had an okay fantasy night, scoring 20 points to go along with four assists, two rebounds and two blocks. His rebounds should pick up this time around given the depletion of Cleveland’s frontcourt. In the three games since Varejao has gone down, Cleveland has allowed opposing big men to shoot a combined 18-of-27 from the field. Align that with Horford’s near 15 field-goal attempts per game in the past seven games and you have a solid pick at center. Did someone disturb the Manimal? Some fantasy god must have knocked on his cage, as he has certainly broken out of his slumber. Faried has become everything most of us expected coming into this season, and so much more. Faried's numbers over the past three games are through the roof. Since December 23, he is averaging 21.0 points and 19.3 rebounds. Likewise, his minutes and shots are up. Easily put, he is a must start. The key here is Faried's offensive rebounding. He has averaged eight offensive boards per game during past three contests. He typically does not pass out these missed buckets and will likely continue to provide plenty of scoring for those that roster him. I know. This is risky. This is Brandon Jennings. You do not want to see him here, but let me try to change that. Fanduel presents a level of competition that is second to none in the DFS world, meaning contests are extremely difficult to win. So many people do their research that it often comes down to plain luck. You need more than just one or two sleeper picks to come through in order to win in the bigger pools. Jennings may just be that perfect wildcard pick to consider when building your lineup. Jennings has always been a streaky player, but Josh Smith’s departure might just be the catalyst to a resurgence. Jennings put up 14 points, 10 assists and four rebounds last Friday. He followed up that effort with 25 points, six assists and five rebounds on Sunday. I smell a hot streak in the making. Jennings is easily playable against Orlando. Since December 21, the Magic have allowed opposing point guards to average 27.7 points per game. This analysis is going to be a little different than the previous three. This is pretty close to pure speculation. My hope is that the Warriors will hold a substantial lead on Philadelphia at halftime. That will allow fantasy darling Stephen Curry to rest a bit and give a minutes boost to Livingston. Livingston provides consistent value in assists, but could be in for a great defensive effort against the turnover prone Sixers. He is worth playing if you have covered your budget elsewhere. Livingston could easily make your night by combining assists and steals. At the very least, he should be able to play to value with some extra minutes.